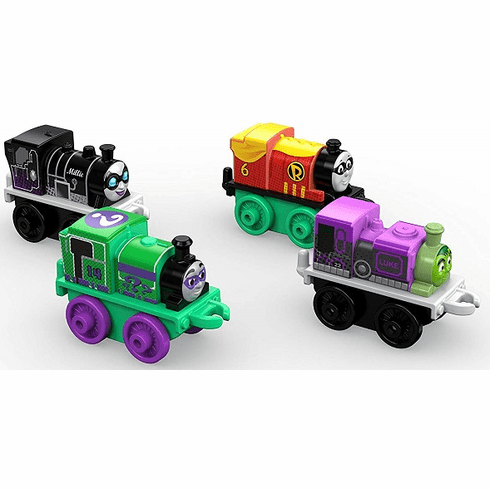 The world's favorite engines meet the world's greatest Super Heroes as Thomas & Friends collide with DC Super Friends for mighty mashups! The engines who keep the Island of Sodor running now have heroic new makeovers as MINIS with designs based on the heroes seen in DC Comics. Featured characters include: Millie as Catwoman, Luke as Beast Boy, Percy as Robin, and Charlie as The Riddler.